A team from the Central Bureau of Investigation (CBI) on Friday took Sachin Andure, one of the alleged shooters in the murder of Narendra Dabholkar, to the V R Shinde Bridge in Pune, where the anti-superstition activist was shot dead by two assailants on August 20, 2013. 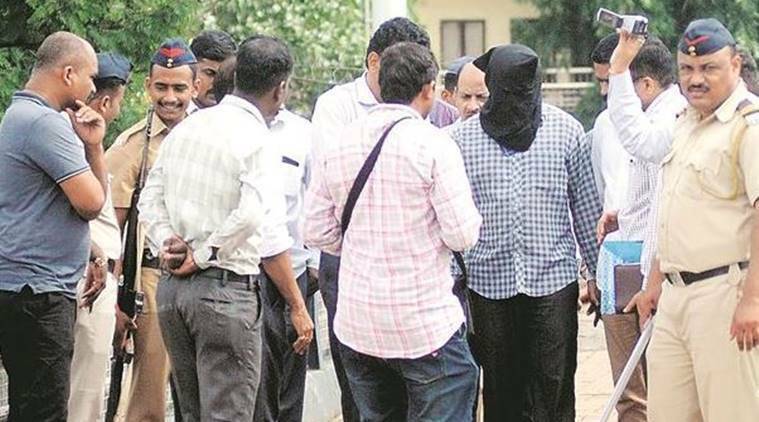 In a bid to recreate the sequence of events, Andure was also taken to some other spots, which Dabholkar’s killers are suspected to have visited, and the entire process was videographed, said an officer who is part of the investigation team. CBI investigators say that Andure and Kalaskar, both residents of Aurangabad, took a state transport bus to Pune on August 19, 2013, and reached Shivajinagar the next morning. They were carrying two pistols and keys of a motorcycle, which was parked outside a mall near V R Shinde Bridge, said CBI officials. They said the duo reached the mall at around 7 am, drove to the bridge and waited for Dabholkar. When the activist, who was on his morning walk, reached the bridge, Andure and Kalaskar allegedly confirmed his identity with a passer-by and shot him. In a bid to verify the sequence of events on the day of the murder, CBI sleuths took Andure to the bus stop, as well as the place where the motorcycle was parked, and the V R Shinde Bridge. CBI investigators believe that the men who killed Dabholkar are also linked to the murder of journalist Gauri Lankesh, who was shot dead at her residence in Bengaluru on September 5, 2017. The CBI plea, however, did not specify the date when the accused in the Lankesh case had handed over the pistol to Andure. The plea further stated, “CBI is trying to trace the motorcycle used in the offence by Andure and Sharad Kalaskar, another shooter in the case. Kalaskar is presently in the custody of Maharashtra ATS and CBI is going to take his custody…”. On Wednesday, a special court in Mumbai has rejected the CBI’s plea to hand over Kalaskar’s custody to the agency. The CBI submitted before the court that there was an “extreme necessity” to confront Kalaskar and Andure.